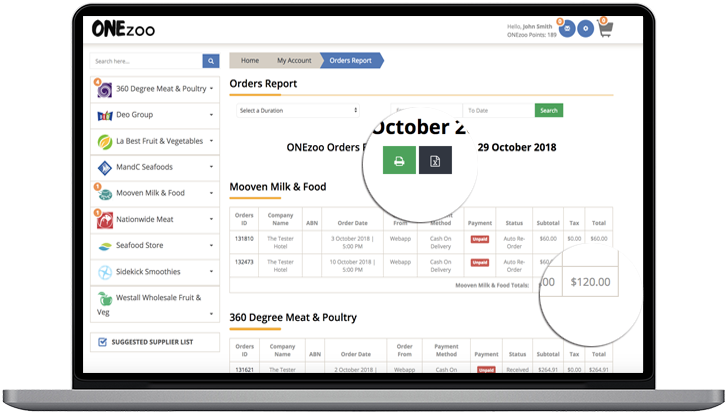 ONEzoo not only allows you to set your own pricing but gives you industry leading solutions to help manage how your price items for your customer. We know it seems far fetched, but any platform who dictates the price you set is irresponsible, you need to be able to offer a fair and reasonable price for your product or service, and ONEzoo supports that. Standard Price is a price you define, sometimes called a list price. This is shown to all users of ONEzoo by default. Tier Pricing is a set of pricing you can assign to a group of your customers, this might be as simple as a 10% off the list price, or might be assigned to a certain group of venues. Tier Pricing overwrites the Standard Price. This is the final option, it will override both the standard price and the tier price. It’s used on a individual customer basis to give a specific customer the price they have negotiated with you. Get back to focusing on what you do best with Orderlinks or Custom Apps by ONEzoo. These closed systems allow you to use a self branded solution to give your customer. These customers are not placing orders on ONEzoo marketplace, but the branded interface we set up for you. You can make use of ONEzoo Supplier Portal to manage all their pricing, saved products, history and more. If you’re interested to find out more get in contact with us Call Now Send Message and a ONEzoo support member can come and see you. Start Using ONEzoo pricing options to give your customers an industry leading experience.